The three companies together announced the groundbreaking collaboration, bringing together some of the world’s foremost experts in electrical and propulsion technologies, at the Royal Aeronautical Society in London. The E-Fan X hybrid-electric technology demonstrator is anticipated to fly in 2020 following a comprehensive ground test campaign, provisionally on a BAe 146 flying testbed, with one of the aircraft’s four gas turbine engines replaced by a two megawatt electric motor. Provisions will be made to replace a second gas turbine with an electric motor once system maturity has been proven. The E-Fan X demonstrator will explore the challenges of high-power propulsion systems, such as thermal effects, electric thrust management, altitude and dynamic effects on electric systems and electromagnetic compatibility issues. The objective is to push and mature the technology, performance, safety and reliability enabling quick progress on the hybrid electric technology. The programme also aims at establishing the requirements for future certification of electrically powered aircraft while training a new generation of designers and engineers to bring hybrid-electric commercial aircraft one step closer to reality. Airbus will be responsible for overall integration as well as the control architecture of the hybrid-electric propulsion system and batteries, and its integration with flight controls. Rolls-Royce will be responsible for the turbo-shaft engine, two megawatt generator, and power electronics. Along with Airbus, Rolls-Royce will also work on the fan adaptation to the existing nacelle and the Siemens electric motor. Siemens will deliver the two megawatt electric motors and their power electronic control unit, as well as the inverter, DC/DC converter, and power distribution system. 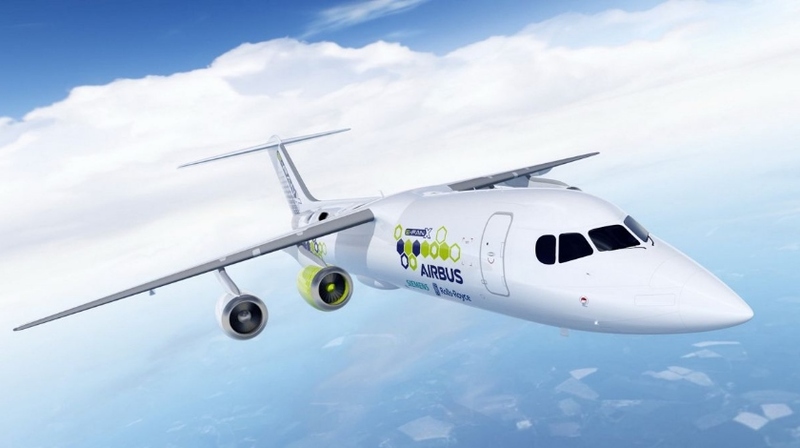 This comes on top of the E-Aircraft Systems House collaboration between Airbus and Siemens, launched in 2016, which aims at development and maturation of various electric propulsion system components and their terrestrial demonstration across various power classes.